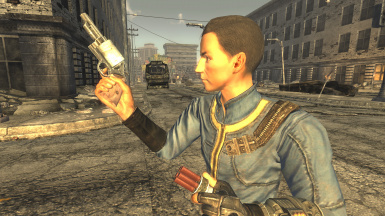 This mod adds a new revolver and ammo type (.410 gauge) to the game. 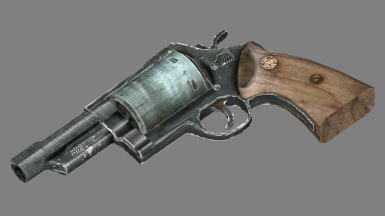 Considering how utterly badass revolvers are, I find the selection available in the base game to be sorely lacking. But at the same time, I didn't just want another skin that plays exactly the same as every other revolver. So, what's a modder to do? As usual, I turned to real life for inspiration and decided to try and replicate the Taurus Judge. I started with the base game Hunting Revolver mesh and got rid of everything except the cylinder, which I shrunk slightly, but kept the chambers the same size. 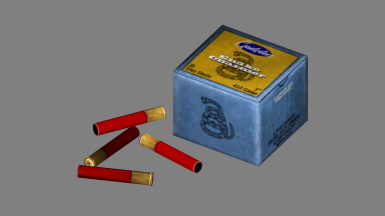 I then resized the 20-gauge shells from the Caravan Shotgun to fit inside the chambers of the cylinder. Once I was happy with their placement, I took the base game .44 Magnum Revolver and elongated the frame to fit the larger cylinder, shortening the barrel too while I was at it. I added a rear sight notch along the top strap and lowered the front sight blade so that the iron sights are usable. 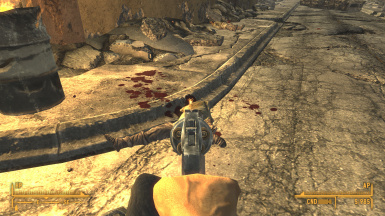 Gameplay-wise, this is a five-shot revolver firing a new custom ammo type, .410 gauge shells. It has extremely high spread, so it's best used as a close-range weapon. 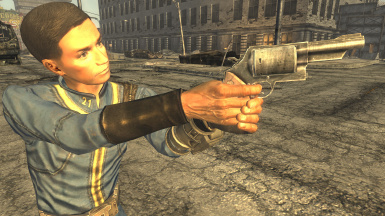 It's also considered an improved holdout weapon and can be smuggled into casinos with a Sneak skill of 50 or higher. 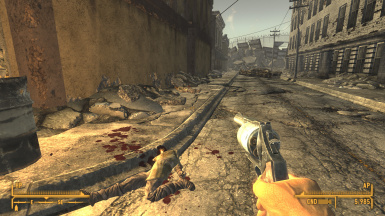 I've added the weapon to all the appropriate form lists, so that all perks and challenges that affect pistols, revolvers and shotguns (i.e The Professional, Cowboy and Shotgun Surgeon) will work as expected. 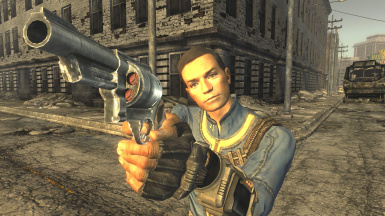 It can be repaired with either itself, a Hunting Revolver or the .44 Magnum Revolver. The .410 shells can also be loaded and fired in any weapon chambered for .45-70 Gov't, but with a greatly increased weapon spread. 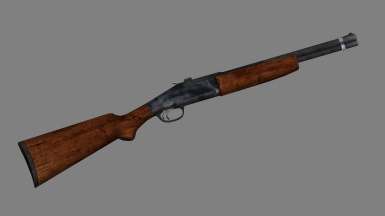 As of v1.1, I've added a new, unique Cane Gun weapon, also chambered in .410.